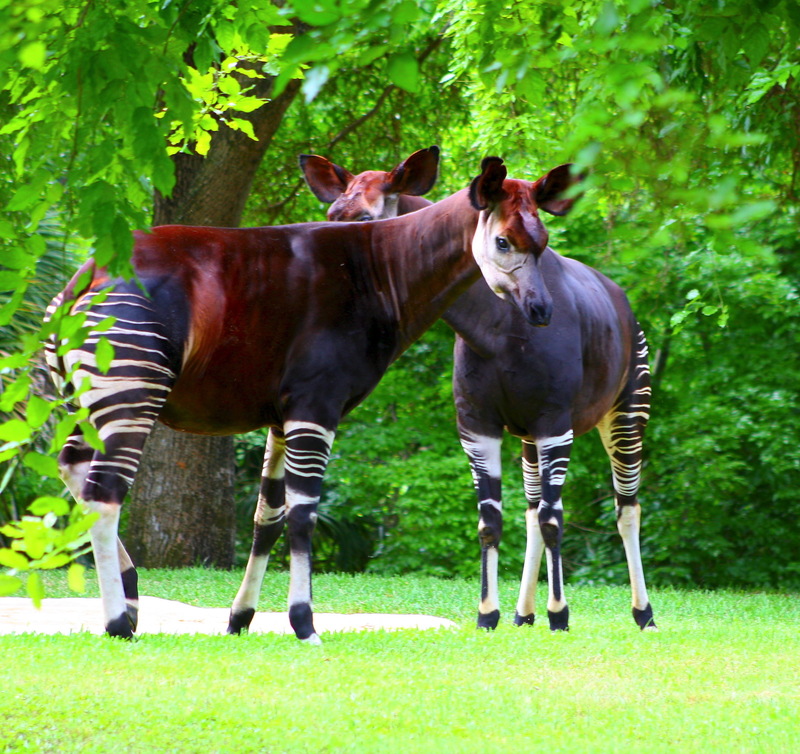 Please enjoy this Okapi family photo during your new years celebration! These posts are my writings on why we brew tea, and how we can understand the practice of ourselves and others. I hope this can be a conversation, and I would greatly appreciate your comments, suggestions questions, and clarifications. There are differences and similarities of Structural- Functionalism and Phenomenism left to be worked out. Structural Functionalism tells us only to consider the function of our wares and the aesthetic value of each individual piece of tea ware as it relates to the whole. Structural-Functionalism does not take into account the diversity of flavor profiles offered by a tea though different brewing parameters, nor the situation or surrounding environment; as long as your set is usable and beautiful you can have tea on the strip of land between the highway and the swamp. Phenomenism requires the brewer to take into account the experience and expectation of the guests; will they appreciate an up-dosed robust brew of roasted oolong, or should I brew a lighter flavor profile? Phenomenism goes a step further than the other constructs by requiring the setting of a setting; one needs to have a space in which the tea can be appreciated. Phenomenism changes the values placed on function and beauty again; whereas Utilitarianism places no value on beauty, and Structural Functionalism posits that a ware or utensil must be functional in order to be used, Phenomenism requires that you create something you and your guest can appreciate and understand. Structural-Functionalism and Phenomenism both state ‘function can be beautiful’. Within structural-functionalism this applies only to the use of the wares. For Phenomenism it applies to anything you or your guests will experience; for example, when selecting a tea pot for green tea, think about the brewing parameters (its function). A beautiful pot with thick walls will scorch the tender buds, yet an ugly pot just won’t do; you and your guests will think less of the tea! Phenomenism is not about balance – it demands both usable and beautiful wares. These 3 constructs, Utilitarianism, Structural Functionalism, and the Phenomenism can be viewed as guiding principles for your own practice (pick whichever one reaches out to you). In teaching Chinese Tea Ceremony, I have learned to view them as stages of practice and as levels of analysis. Individuals join the Institute foremost because they want to drink tea; it takes time and study to progress through the Utilitarian to the Functionalist to the ‘Phenomenist’ approaches. That is not to say there are not highly skilled and knowledgeable practitioners within each construct; it is simply my opinion of the amount of skill and knowledge required by each construct. Individuals can and should practice tea ceremony in the way that is enjoyable to them. As a level of analysis these constructs become useful in your reading and experience. Writings and blog posts about tea will with few exceptions fall into one of these categories, and it is helpful to view the practice and tea of others threw these lenses; why are they picking those cups? What effect does that tea pot have on the tea? What assumptions am I holding because of their set? This is not so much a method for critique as a tool for your understanding, and perhaps, as an admonishment against preemptive conclusions. Chinese Tea Ceremony, as in life, has room enough for all practitioners to live and let live. Tune in soon for part 4, where I make a pretty chart detailing different theories! Have a question, idea, or sneaking suspicion? Post it in the comments! Modern phenomenology is the study of human experience. Phenomenology has its roots in architecture to describe the feeling of seeing and approaching a structure – one that has such a presence as to stir an emotional response. Imagine with me, if you will, approaching the roman forum, the Acropolis, or the Summer Palace; these structures were formed in order to unsettle or impose. These structures were formed in order to set the tone for their function. Imagine with me the feeling of awe and grandeur at approaching these buildings during their time of use. Phenomenology may be divided into a limitless array of categories such as the phenomenology of art, how one relates to and understands art (such as in the tea room, if any); the phenomenology of company, how one relates and understands the presence of others (tea is quite different alone or in a group), or the phenomenology of taste, how one relates and understands the sensory stimuli of flavor (not to mention a clean pallet). For our purposes, categorization is unnecessary or even detrimental to the understanding of tea ceremony as a whole. Instead we will look at Phenomenology as a singular and inclusive field. Phenomenology, in recent years, has been co-opted and expanded by Cultural Anthropology to explain the way in which our setting and external environment effects the perception of experience. This is ½ of phenomenology – that while two or more individuals may share an experience, their perception of events may differ. Yet, it is possible, in no uncertain terms, to create and craft an experience; to create settings and situations in which one cannot help but to feel the set and range of emotions decided on by the crafter. This is what it means to be the director of a play, guiding the audience though the emotional trials of the cast; this is what it means to be the host of a Charity Banquet, creating a situation for your guests to enjoy themselves and (hopefully) donate to your cause; this is what it means to be the host of a Chanoyu ChaJi creating Ichigo Ichie. We will label the application of phenomenology to tea ceremony as “phenomenism”. [This is not a real word. It should not be used in polite or intelligent conversation] This is of no passing interest to the brewer, the practitioner of Chinese Tea Ceremony; I will argue it is the summation of our and our guest’s experience. It will come as no surprise to anyone that individuals vary in their level of knowledge and understanding of tea. When one is brewing for themselves, their approach is inherently matched to their own level of understanding; someone interested in the silent and meditative aspect of the ceremony wouldn’t play music while brewing, someone interested in ceramics may spend more time matching wares to individual teas, and someone interested in tea as part of nature could brew outside. That is creating an environment where you can personally appreciate tea. When brewing for others more thought, and sometimes planning, is required. If your goal is to introduce your friends to tea, you wouldn’t set up a 30 young pu’er sensory panel; you would probably pick one or two approachable teas and have light conversation interspersed with the explanations. If your goal was conversation with fellow tea drinkers, you should prick different tea than if your goal was for a more serious tasting. When presenting tea ceremony at the Institute for new members, I don’t use our finest Qing porcelain; it is not because I don’t think new members will appreciate it, just the opposite. New members will appreciate and concentrate on the wares too much. It would overshadow the tea. Worst of all, they may come away with the idea that rare or expensive porcelain is required for GongFu (it’s not). It does no one any good to be out-leveled during a tea ceremony. Phenomenism is a framework that serves to create an experience where the practitioner and guest can appreciate tea on their level of understanding. This is difficult as experience is subject to the perceptual effects of expectation, situation, and memory. Understanding how the external environment effect the perception of individuals is the other half of Phenomenology. Consider the best tea in the world (whatever that may be); would you have the same expectation if it were served in a hello kitty mug as a Yuan QingBai cup? How would that expectation change your perception of the tea? I suspect you would think less of it, consciously or not, in the mug. Would you have the same expectations for a tea served to you at a street side stall as one served to you in a specialty tea house? How would the situation change your perception of the tea? I suspect you wouldn’t give the tea from the stall nearly as much thought. Finally, how would your experience of a tea with any expectation in any situation be effected by your past experiences? Those experiences, those memories, are the way you reference, compare, and interpret the world around you. Few enjoy sheng pu’er the first time it is served to them (we say it is an ‘acquired taste’); the best sheng in the world is lost on an individual with no experience with sheng (we say they have no appreciation for it). It is through repeated exposure that a formative reference is created and through which one can begin to enjoy the nuance and subtleties of any type of tea (or artisan good for that matter); memory is experience, and experience is what forms our preferences. The Phenomenism framework is thus sensitive to expectation, situation, and memory. Thinking on the Phenomenist level can help clarify your personal goal each time you brew and can clarify where your concentration should lie. Thinking at the Phenomenist level can also help you uncover and reason your own assumptions and guide you to a deeper level of understanding. Perhaps it can be said that the point of tea ceremony is creating an experience where your or your guest’s expectations, guided by the wares you use, are for quality; where the situation, guided by the setting, is conducive; where the memories evoked are positive, and the memories formed are clear; all for the appreciation of the tea. Tune in soon for part 3, where I try to explain why Structural-Functionalism and Phenomenology are different theories!